These Are a Few of My Favorite [Murray’s] Things! The holidays are HERE, and with them come a slew of new goodies for me to become obsessed with. Here are just a few of my favorite new things. Throughout the year, we have customers who venture to the cheese counter, inquiring about the status of our elusive 2-year aged Comte. More often than not, we must sadly shake our heads and reveal the bitter truth—the time for this seasonal cheese hasn’t come. But rejoice, fromage connoisseurs! This raw cow’s milk beauty is back and better than ever. 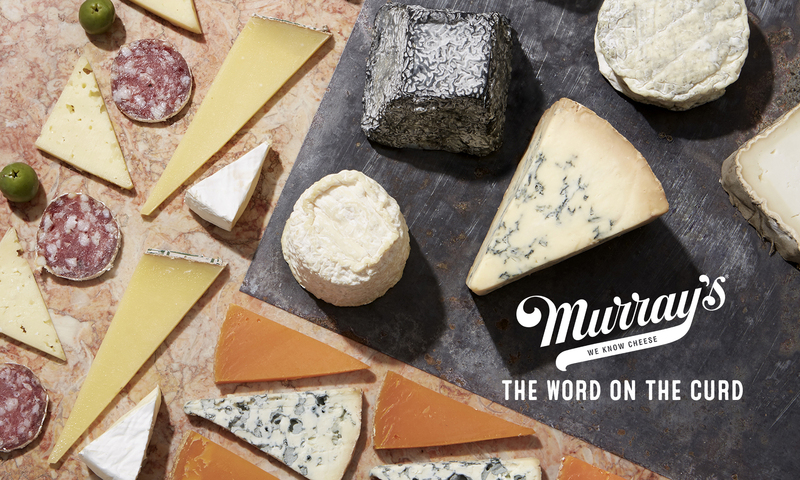 You may recall from a previous post the story of our buyer’s journey to retrieve this marvel of the cheese world. After tasting what was specially chosen just for Murray’s, I fell in love. I brought some home, ate until I couldn’t eat any more, and then had to have just…one…more…bite. It is the perfect snacking cheese—nutty, fruity, the perfect blend of savory and sweet, with a semi-firm but creamy texture that melts like butter in your mouth. Though it’s hard to improve on perfection, this chameleon cheese pairs with almost any assortment of jams, honeys, butters or charcuterie. 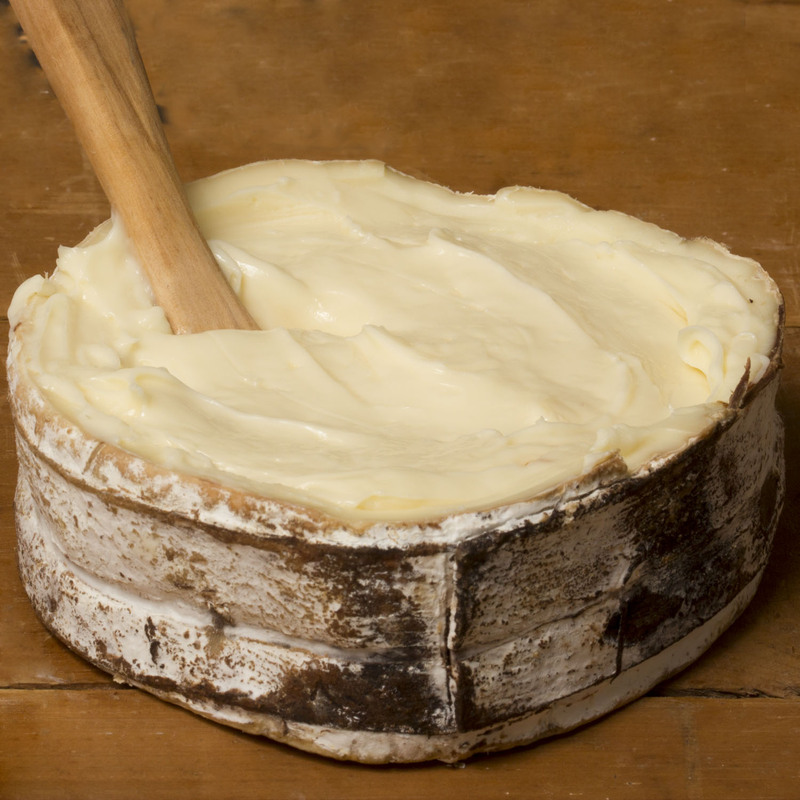 You won’t believe it until you taste for yourself—but we’ve found the perfect cheese. Holiday gift note: If you can stand to share this seasonal alpine-style cheese, someone will love you dearly. Artisanal. American. Raw milk. My interest is piqued. But what’s so special about Rush Creek Reserve? 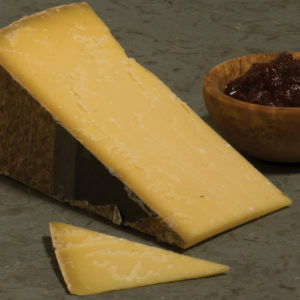 For one thing, it’s made by Uplands Cheese Company in Wisconsin (the same folks who make award-winning Pleasant Ridge Reserve), who believe in a grass-fed pasture diet and seasonal herding for their cows. This means the animals are happy and healthy, which leads to better, more flavorful milk (and of course, better cheese!). As for the cheese itself, Rush Creek Reserve sports a lovely spruce bark belt around its soft, ripe exterior—inspired by the famous French Vacherin Mont d’Or. The result—oh, the result!—a delicate, woodsy, beefy paste that sings on the tongue and impresses your friends at holiday parties. 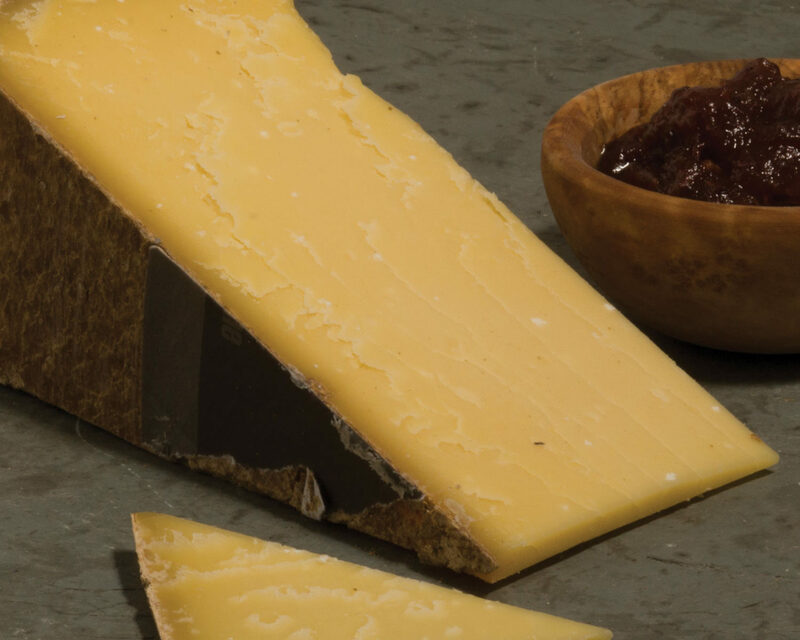 Holiday gift note: This seasonal cheese only comes from autumn milk, so its availability is extremely limited. Get it before someone beats you to it! Most people know that honey makes a terrific complement to most varieties of cheese, but fewer think about why that is. Like cheese, honey is fascinating because its flavors vary based on terroir—the plants and flower nectar the honeybee collects determines the taste of its resulting honey (floral, fruity, nutty, etc.) in the same way that a ruminant’s diet will influence the taste of its milk and cheese. So I think we can agree—honey is a magical thing. But this honey? Magic becomes divine. In addition to the sweet, floral taste (courtesy of French Canadian seaside summer pollen) the texture is creamy, smooth, and nougat-like. Just as a cheesemaker or affineur can shape the texture of a cheese, the makers of Societe-Original whip the already delicious raw foundation to create light, fondant perfection. Picture coming soon, but trust me – it is a beaut!!! Holiday gift note: Need a gift for that hard-to-please foodie? Stop looking. This is it! photo courtesy of jeni’s splendid ice creams! Before you get your hopes up, no, sadly we can’t sell this one online! But if you’re ever near our Bleecker Store, you’re in for a treat. Jeni’s Ice Cream could convert even the most adamant ice cream opposition (which can’t actually exist, right? )—because it’s that good. The milk is sourced from Snowville creamery grass-fed cows, and the ice cream is made from scratch with all-natural ingredients. So if the quality of Jeni’s Ugandan Vanilla Bean Ice Cream is amazing, and the flavor is out of this world, how might you improve on a tried-and-true formula? 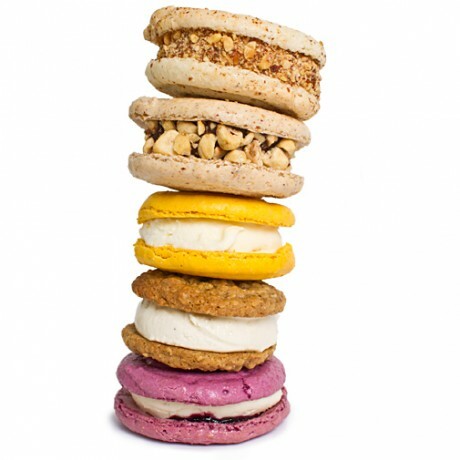 Stick that ice cream between some of the greatest oatmeal cookies ever created! Flavored with molasses and cinnamon, the soft oat-filled cookies soak in the cool, rich vanilla ice cream to create the perfect dessert. 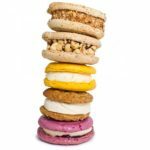 Jeni’s other Ice Cream Sandwiches are worth trying, but in my opinion, this Oatmeal Crème can’t be beat! Holiday gift note: Santa prefers Jeni’s Ice Cream Sandwiches. I must admit that I hold a soft place in my heart for Iowa-based prosciutto company La Quercia and its products. After living in the Italian province of Parma (yes, the Parma of prosciutto renown) for several years, the husband and wife team from Iowa decided to bring premium quality prosciutto to their own state and country. From what started as simply prosciutto sourced from local, sustainable producers, La Quercia grew to include a plethora of cured meats. And these meats are incredible! The La Quercia product I can’t get enough of right now is the Acorn Tamworth Coppa. Tamworth pigs from Missouri spend their last three months foraging acorns in the Ozarks from oak and hickory trees, which leads to a sweet and nutty flavor and silky, melt-in-your-mouth texture. Coppa comes from the top of the pig’s shoulder, which ensures a lovely meat to fat ratio, evidenced by the beautiful white marbling on the cut. This is the perfect meat to pair with cheese or adorn a cold plate—and (here comes the blasphemy) this American-made acorn coppa is miles above the Italian original in taste and texture. Currently only available in NYC stores. Holiday gift notes: Local. Sustainable. Delicious. Pork. Lauren McDowell is a cheesemonger who moonlights as a food scholar, earning a graduate degree in Food Studies at New York University one bite research paper at a time.